Please consider a donation to help cover the costs of this event and make the Shabbat experience available to the community. FRIDAY, MAY 3, 7:25 PM. REGISTRATION IS REQUIRED BY SUNDAY 6:00 PM. 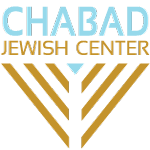 Thank you for registering for FIRST FRIDAYS AT CHABAD. We look forward to celebrating Shabbat together. I would like to receive news and updates from Chabad Lubavitch of Idaho by email.